Have you ever deleted a record by accident? We all have and it's always a pain to try to get that record back. Well now with Recycle Bin it is possible to recover those deleted records easily. 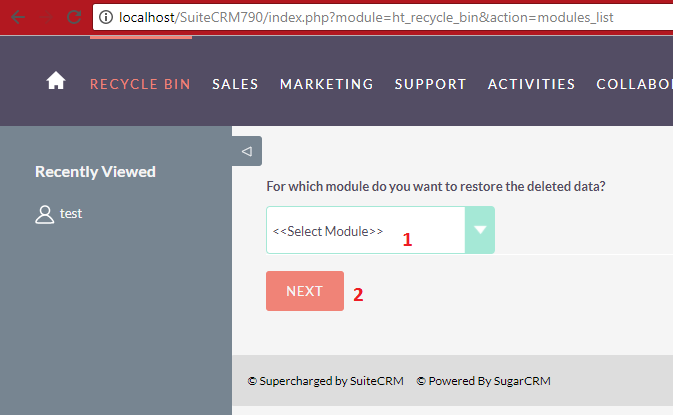 Best of all, it works for both default and custom modules built in SuiteCRM. Data is undeniably valuable in every business and loss of data means loss of business. Be ready for accidental deletes by having Recycle Bin on standby. Recycle Bin is the place to go to see the list of your deleted data for any module that you select. Using it is very easy. Make a selection, recover or delete permanently and you're done. "Installed cleanly, seems to recover deleted files as stated."